WOW! Did you see all the fun that is about to start? 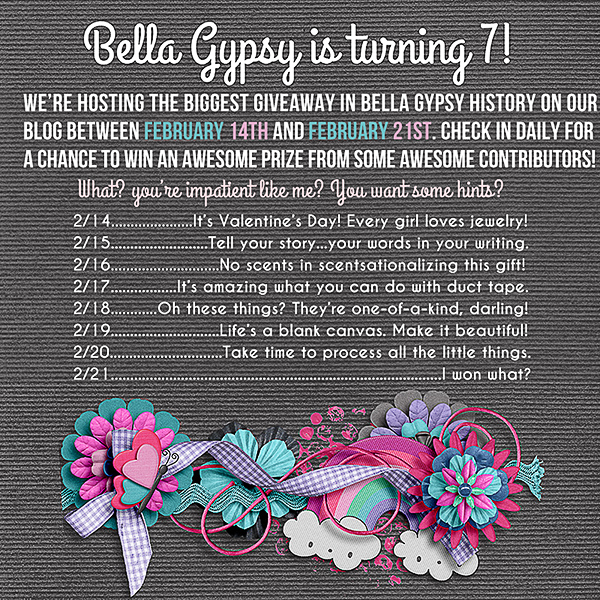 Bella Gypsy has some amazing things in store for you this month in honor of their 7th anniversary! 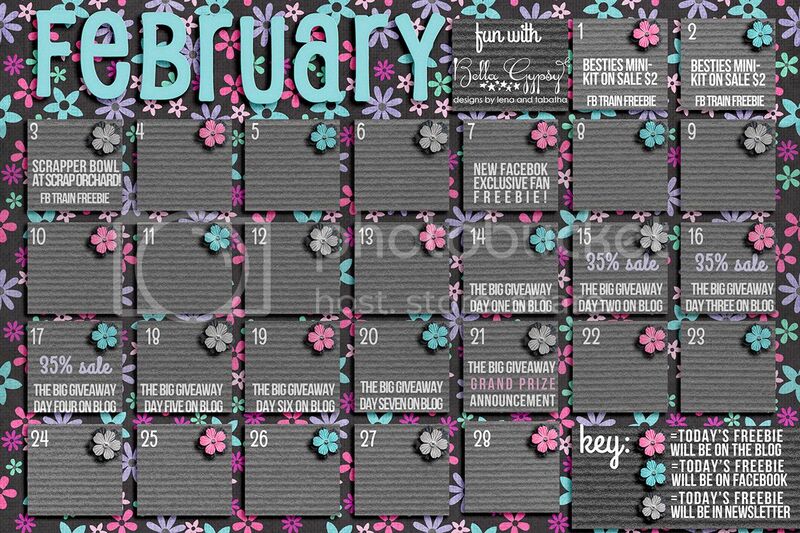 There are going to be some amazing giveaways and freebies that rock your socks off!! I can’t wait! 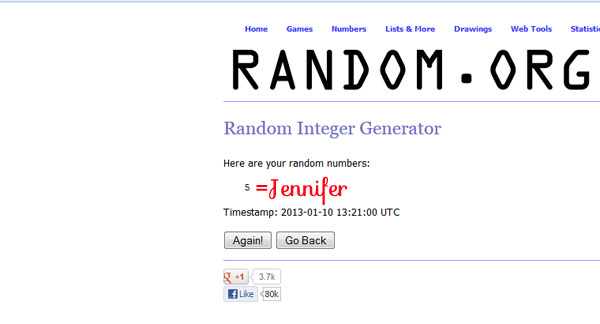 Make sure you check back here or on Facebook each day for your freebies! 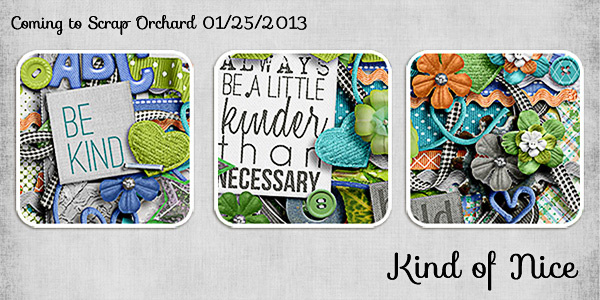 For starters…This mini kit is available through the 2nd for only $2, and then it goes back to regular price. 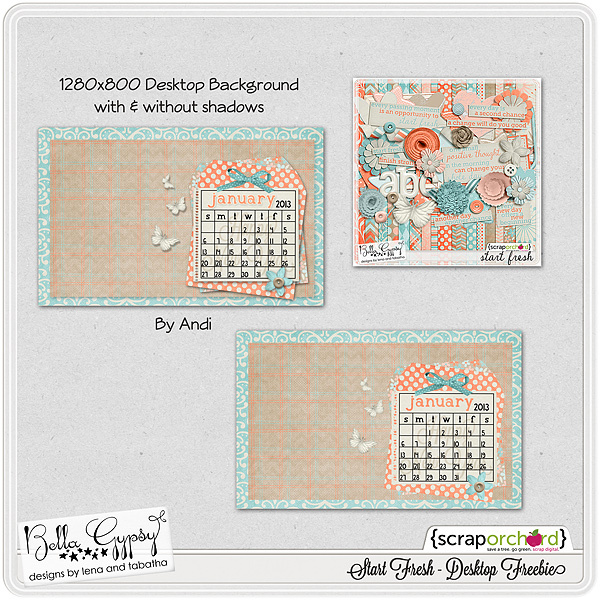 Make sure you stop back EACH day for a freebie that coordinates with this kit. At the end of the month you will have a HUGE MEGA KIT! Here’s a look at this week’s new release. It is so soft and pretty! 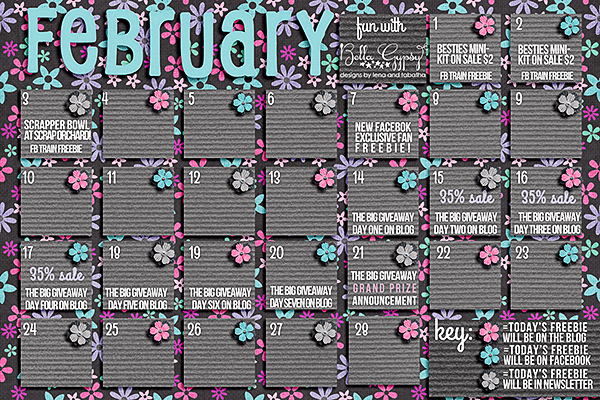 I hope you have an amazing month helping us celebrate! 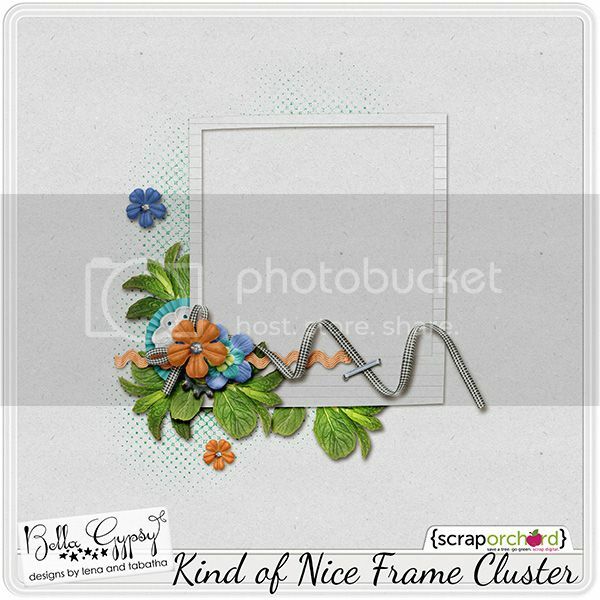 I made a frame cluster for you this week. 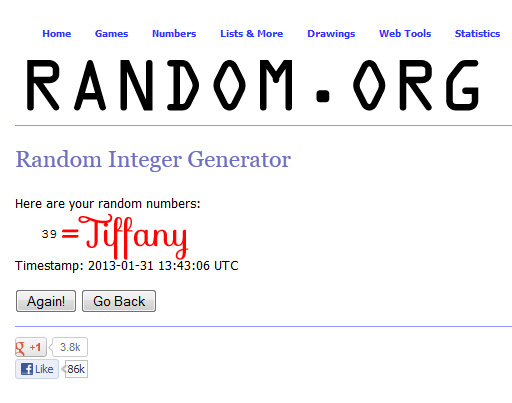 Just click below for your download link. Hello! I hope you are having a great week. Things are back to normal here…routines, school, homework and sickness! We have had colds, ear infections, fevers but through it all, I am thinking happy thoughts! Bella Gypsy has a new collection today. It is beautiful and just so cheerful! 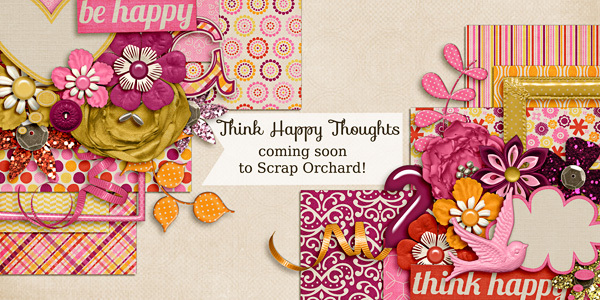 Take a look at Think Happy Thoughts. Sorry I am keeping it short this week. I am still a bit under the weather! 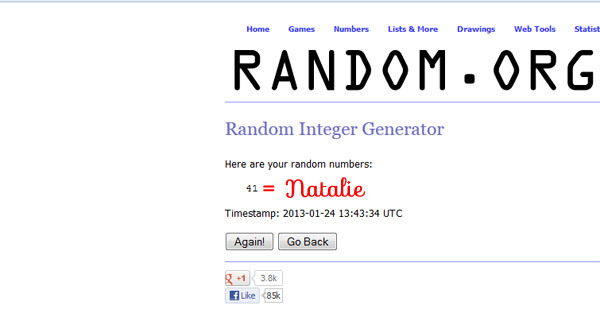 I will have a freebie for you next week! I hope 2013 has started off great and each of you have a healthy and happy new year! We were pretty low key over the holiday weekend…it is way too cold to go outside! A new year means: resolutions, new beginnings….A Fresh Start! 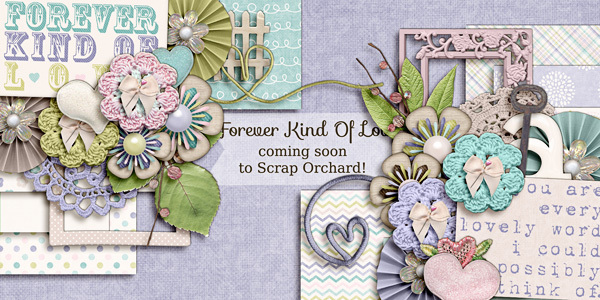 Check out one of Bella Gypsy’s new kits this week at Scrap Orchard. 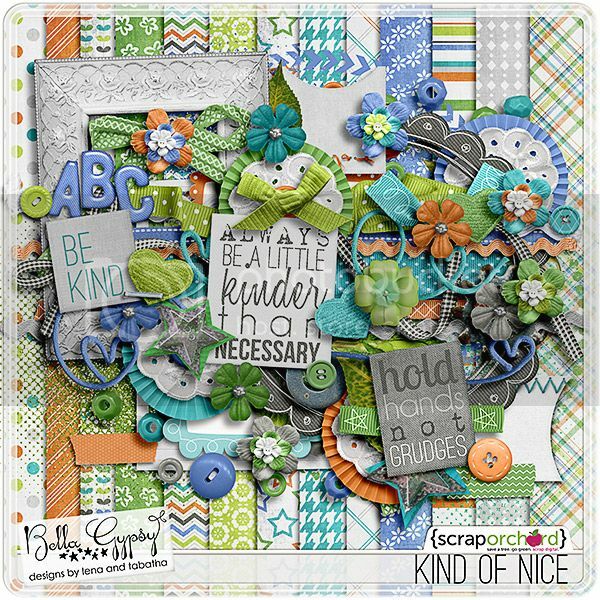 Bella Gypsy has another new release this week too! 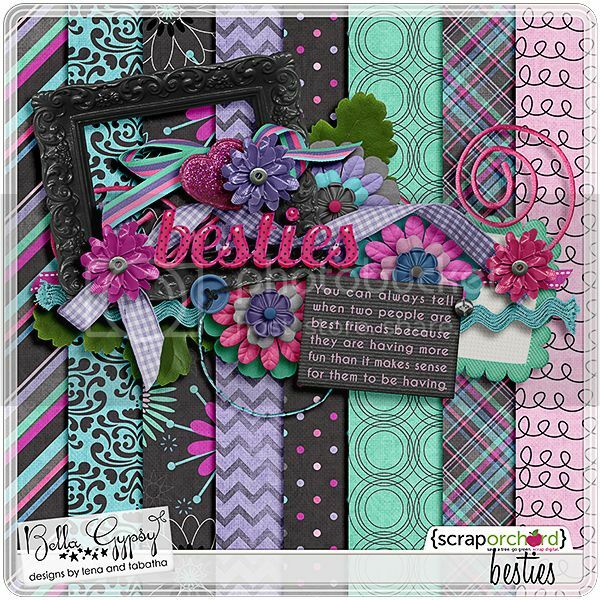 Better Day Ahead is bright, fun and gorgeous! 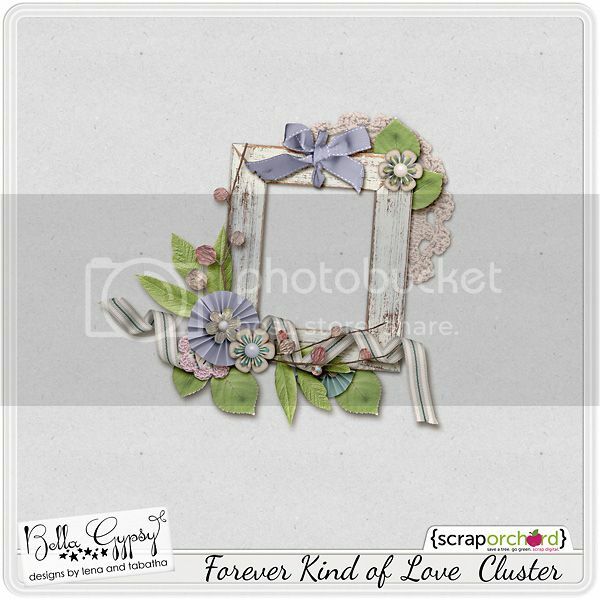 Here is a freebie frame cluster using Fresh Start!